The museum world is constantly undergoing change and transformation, whether in response to economic, technological, social and cultural trends or professional advances. For museums to become the agents of change adequate professional development is crucial. Museum professionals should be equipped with the appropriate skill-sets needed to respond to the ever-changing needs of society. 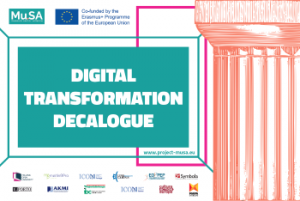 On Thursday 13th of July the Mu.SA project partners will gather together in Rome museum professionals, researchers, academics and relevant stakeholders to discuss the key theme of change and digital innovation in the museum sector. The conference is organised by the Italian partners of the Mu.SA project: Link Campus University, Melting Pro, Fondazione Symbola and the Istituto Beni Culturali of the Region Emilia-Romagna and it will take place in the inspiring setting of Link Campus University in Rome. Mu.SA – Museum Sector Alliance is a project that supports museum professionals in their digital transformation journey and provide training for the emerging job profiles in the sector due to the increasing adoption of ICT in museums. The project is co-funded by the European Commission. Museums are developing many digital assets to enlarge, satisfy and engage their audiences. In some cases museums have adopted digital exhibitions, virtual environment, augmented reality solutions, whereas in some others a redesign of the platform, a social media campaign or an audience development strategy have innovated the way the audience can experience the museum. How to support museums thrive in the digital environment? Don’t miss the opportunity to debate with museum experts and policymakers from Europe. 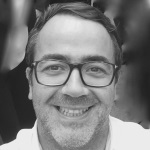 During the conference Duncan Gough, Tech Lead at Victoria and Albert Museum and Paolo Cavallotti, Head of Digital at Museo Nazionale della Scienza e della Tecnologia Leonardo da Vinci, will talk about the approach and strategy they developed in recent years. A roundtable will close the morning sessions with experts from different background such as Prisca Cupellini – Online Communications and Digital Projects Curator, Fondazione MAXXI, Cristina Da Milano (Eccom.Idee per la cultura and Board Member Culture Action Europe), Natalie Giorgadze (Communications Officer Culture Action Europe), Achilles Kameas – School of Science & Technology, Hellenic Open University, Anna Maria Marras (Technology Commission ICOM Italy), Alexandre Matos – ICOM Portugal, Margherita Sani – Istituto Beni Culturali della Regione Emilia-Romagna. The afternoon session provide free workshops on: The UX of the Connected Museum, held by Massimiliano Dibitonto and Claudia Matera (Link Campus University), Audience Development and digital strategy, as a strategic process towards a common goal: developing meaningful relationships with audiences, held by Antonia Silvaggi (Melting Pro) and Prisca Cupellini (Fondazione MAXXI), Multimedia narrative as educational tool, held by Federica Pesce and Laura Bove (Melting Pro). During the workshop we will design user experiences for a connected museum, using the possibilities offered by the Internet of Things paradigms. With a co-design approach we will analyze a scenario and discover the potential (but also the drawbacks) of connected technology and we will design, with a user centered approach, new and engaging experiences. Audience Development and digital strategy, as a strategic process towards a common goal: developing meaningful relationships with audiences By Antonia Silvaggi, Melting Pro e Prisca Cupellini, Online Communications and Digital Projects Curator, Fondazione MAXXI, Roma Based on the Mu.SA findings strategic and planning skills are equally important as more specific digital skills. After an introduction to the concept of audience development following the ADESTE project and CONNECT project results and the showcase of the MAXXI Museum, one of the selected cases of the “Study on Audience Development – How to place audiences at the centre of cultural organisation”, participants are encouraged to think how a digital strategy should be embedded in an overall audience development strategy tied to the organization’s mission. The workshop is meant as a reflective space where participants are welcomed to discuss and share their opinions through group activities. Multimedia narrative as educational tool by Federica Pesce & Laura Bove – Melting Pro The workshop addresses the important issue of how to transform multimedia narratives into educational tools. Narrative and stories in education have been the focus of increasing attention in recent years. The idea of narrative is fertile ground for educators who know intuitively the value of stories in teaching and learning. Starting from the best practice of the project NAR-SPI Narrative educational resources for socio professional inclusion, a European project funded under the Erasmus+ Programme KA2, participants will have the chance to learn actively how to build a didactic path. Dr. Achilles D. Kameas received his Engineering Diploma (in 1989) and his Ph.D. (in 1995, in Human-Computer Interaction), both from the Department of Computer Engineering and Informatics, Univ. of Patras, Greece. He has also received formal education on Adult Education and on Open and Distance Education. Since 2003 he is a member of staff (with tenure) with the Hellenic Open University (HOU), where he teaches Pervasive Systems and Software Design (currently an Associate Professor). He is the Director of the Postgraduate Study Programme on “Pervasive and Mobile Computing Systems” (http://sdy.eap.gr/). Since September 2016, he is the Deputy Dean of the School of Science and Technology. Since 2000 he established the DAISSy research group (Dynamic Ambient Intelligent Social Systems) (http://daissy.eap.gr), aiming to contribute to the realization of an advanced humane society by inventing technology that adapts and supports human needs and not the other way round. He has participated as researcher / group leader in several EU and national R&D projects. Examples are the IST (FP5, FP6 and FP7) projects e-Gadgets, Astra, Plants, Social and Atraco (he was the scientific coordinator of the first two), the LLP projects TIPS, VAB, PIN, CompAAL, EngAGEnt, Criton, SONETOR and eCultSkills (he was the coordinator of the last two), the Erasmus+ projects P4LLL-Tec, MOOQ, i-Care, DigiPlace, TIME, SEM@Schools, Epoque, LinguaCuisine, TOY+, BRIGHTS and SONETBull (he is coordinator of the latter) and the national projects FragMex and ADVENT (he was coordinator of the latter). He also coordinates the H2020 project UMI-Sci-Ed and the Erasmus+ Sector Skills Alliance project Mu.SA (Museum Sector Alliance). He has published more than 120 journal articles, conference papers and book chapters, authored three university textbooks and co-edited more than ten books. He was a member of the ESCO Reference Group on ICT Services. He is a member of the CEN PC428 on e-competences and ICT professionalism, the CEN Workshop on e-Skills and the Course & Curriculum pool of experts of EADTU. Antonia Silvaggi, background in Archaeology, with an innate passion for museums and stories. Project manager and researcher for Melting Pro, Italy, Rome, she has been coordinating the research activities of the Mu.SA project and was one of the editors of the final report. She has extensive experience in working on international projects on audience development training, cultural participation and digital storytelling. 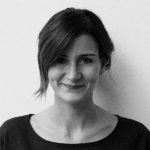 She is also currently involved in CONNECT – CONNECTING AUDIENCES European Alliance for Education and Training in Audience Development Melting Pro is active in the field of arts and cultural management providing support, research and training. PhD in Contemporary History of Art, she is a researcher CCIs sector and support professor at Arts undergraduate programmes and MAs of Cultural Heritage at Link Campus University. She has been assistant curator in international exhibitions in Italian Museums and founder and game designer at NutGames s.r.l.. She is Creative Entrepreneur Advisor, level 7 Professional (www.aspire2create.eu). Her field of scientific interests are digital game based learning, educational methods with new technologies in Museums and urban area, Museology and Contemporary History of Art. 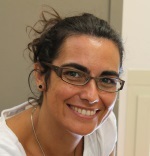 Cristina holds a degree in Archaeology (University of Rome); the Diploma of Fine and Decorative Arts from Antiquity to 1450 (Royal Society of Arts, London); the MA in Museum Studies (Department of Museum Studies, University of Leicester); the MA in Technological Instruments for the Economic Evaluation of Cultural and Environmental Heritage (University of Ferrara). From 1996 she is member of ECCOM (European Centre for Cultural Organisation and Management) and in 2010 she became president of it. She has been part of several research projects at a national and international level on the issue of the social role of museums and of lifelong learning processes within museums, subjects on which she has published several papers. She has also managed many European funded projects within the framework of the programmes Lifelong Learning 2007-2013, Culture 2007-2013 and Creative Europe programme. She has taken part as senior researcher in the “Study on Audience development. How to put audiences at the centre of cultural organizations” funded by the DG Culture and Education of the EU Commission. She lectures in many post-graduate courses and Masters. She is member of the board of directors of Culture Action Europe and Teatro di Roma. Anna Maria Marras, PhD in Mediterranean archaeology and post-doctoral fellow at Mongolian University of Social Science and Technology. I am a digital heritage project manager. Digital Technologies committee (ICOM-Italia) and coordinator Museums and Archives coordinator of Wikimedia Italia. Specialized on project management, social media strategy, new technologies applied to cultural heritage and data management. Since 2011 I am collaborating with National Archaeological Museum of Cagliari and Archaeological office of Autonomous Province of Trento. In 2013 I created and managed the social media strategy of the National Archaeological Museum of Cagliari. I designed and coordinated the innovative accessibility project of “Liquid Museum” at the National Archaeological Museum of Cagliari. I am actually working with Polo Museale della Sardegna communication staff on the project “Musei di storie” and also, as a project manager in the project of Carlo Alberto Library at Racconigi Castle. 2011 ICT and digital heritage methodology teaching at Mongolian University of Social Science and Technology. 2014 “Isola delle Torri” exhibition, social media and web strategy. opening conference organizing, exhibition management support. 2014 “Mont’e Prama, 1974-2014” exhibition, social media and web strategy. opening conference organizing, exhibition management support. 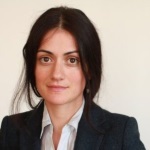 Natalie Giorgadze is Communications and Community Director at Culture Action Europe, a major European network of cultural organisations, researchers, artists and activists. She is also an essayist and a blogger, with solid experience in the non-for-profit sector. Attracted by power of words, she passionately searches for new, creative and effective ways of telling stories, stories that inspire and motivate. Before joining Culture Action Europe, Natalie worked as a communications officer for Women in Development Europe and as a freelance writer and project developer at Indigo, a cross-media project. Her previous NGO experience includes working for human rights and environmental networks. Natalie is trained as a journalist, she holds a BA in social psychology and a graduate degree in Cultures and Development studies. Born in 1979, Prisca Cupellini graduated from the D.A.M.S in Bologna and specialised at the LUISS Business School in Art and Heritage Management. She began her professional career at Codess Cultura before joining MAXXI in 2007 where she launched, developed and coordinated the Fondazione’s digital presence, activities that have brought the museum recognition, both national (ICOM Italia Prize 2012 for the best use of social media) and international (People’s Lovie Award and Lovie Award Bronze 2015 for the new web site). In 2015 she conceived and curated the first edition of the international convention Digital Think-in. The digital voice of museums. Her most recent projects include: JACK Contemporary Arts TV and Virtual MAXXI. She is the head of the Digital Think-in Lab higher education course. She periodically teaches at universities and other educational institutions. Margherita Sani works at the Institute of Cultural Heritage of the Region Emilia-Romagna, where she is in charge of international projects in the museum field. She has worked for the definition of museum standards and has developed training courses for museum staff. 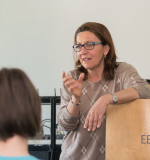 In the last 15 years she has also designed and managed several EU funded projects, in particular on museum education, lifelong learning and intercultural dialogue, some of which have been identified as best practice by the EU Commission. She is an active member of many professional museum associations and networks, among which, NEMO, ICOM International, EMA – European Museum Academy and the Museum Ed-AMECO network, which gathers museum education organisations and museum networks in Canada and North America. Paolo Cavallotti was born in Milan in 1974. 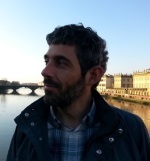 He studied italian literature and than started working in the Museo Nazionale della Scienza e della Tecnologia Leonardo da Vinci of Milan in 1999 as coordinator of the educational activities of the Internet Interactive Lab. 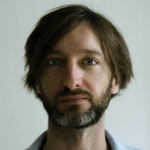 He became Head of Digital of the Museum in 2002 and coordinates the work of Digital Office. His office is in charge of all the digital projects, online activities and all the interactive multimedia products of the Museum. In the last 15 years he wrote several papers and gave lectures in different universities on digital and museums.